Many people think addiction is a moral failing. Obama Fellow Navdeep Kang knows this misconception all too well. He was one of them. But after coming face to face with people who suffer from substance use disorders and delving deeper into the biological, psychological, and social causes, he realized that no one chooses addiction. It’s a chronic disease that deserves a rapid and holistic healthcare response, which many care systems in the US aren’t currently equipped to handle. So Nav stepped up to do something about it. 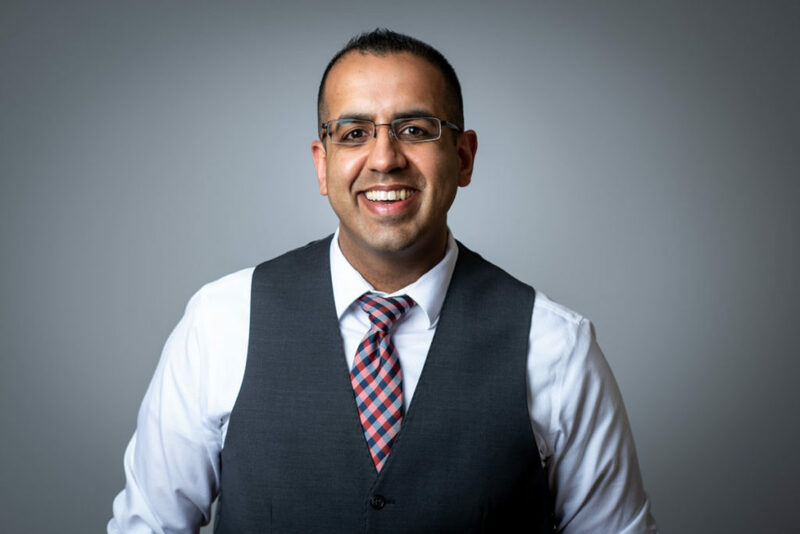 Through his work with the Mercy Health Addiction Treatment Collaborative, Nav hopes to change the narrative around addiction, encouraging people to treat it as a chronic health issue that calls for holistic action and treatment. Q: To get started, I’m wondering if you could tell me a bit about where you grew up and what led you to this work? A: My family and I moved to Cincinnati, Ohio, when I was six years old. My parents are from India and were married through an arranged marriage and ended up in the United States when my dad came over for graduate school. 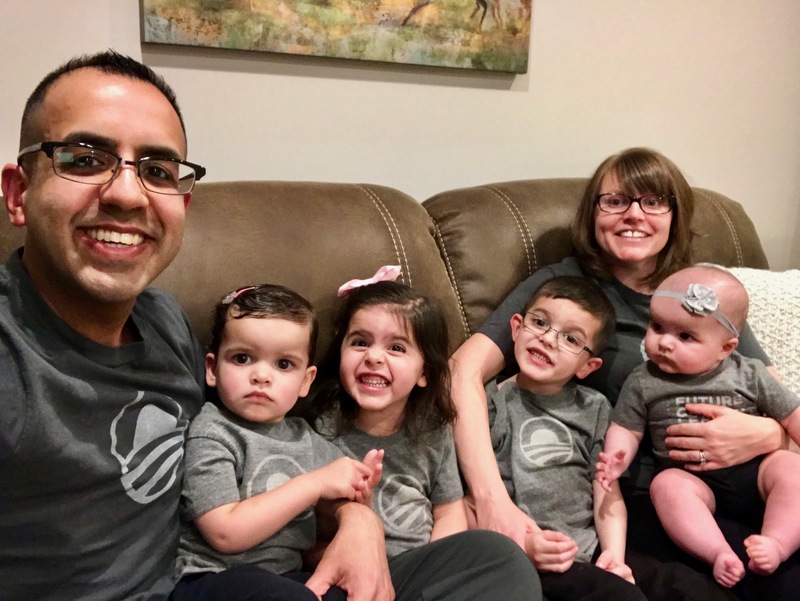 Their plan was always to move back to India once my dad finished graduate school, but once they had me they knew there was more opportunity for us here and decided to stay put and build a life and community in the US. Typically, people of South Asian descent don’t go into psychology or work in the mental health field. It’s often times not talked about and these kinds of things are a source of shame for families and it’s not something people seek treatment for, let alone work in, at least in India. Stigma and bias are very real. My parents always wanted me to be a physician and wanted me to go to medical school. That was the path they laid out for me, but I was always curious about how people operate and why they do the things they do. For me, I think that drive came from growing up as a minority in a majority culture. In our neighborhood there was maybe one black family and one other Indian family—everyone else was white. So I had a lot of curiosity about the dual culture I grew up in. Q: How’d your parents take it when they found out you wanted to be a psychologist instead of becoming a doctor? A: It wasn’t until undergrad that I had an opportunity to take a few psychology electives and figure out that that was what I really wanted to major in and ultimately what I would go to graduate school for. My parents were obviously a little disappointed (laughter). In some ways I think my dad still wishes I would go to medical school today! Again, I’ve always been drawn to understanding how people and families work, how we end up in some of the circumstances we do, where we should go next, and how we get there. Being a psychologist and understanding human motivation ultimately led me to where I am today. Q: And what brought you to addiction recovery, specifically? A: There’s no such thing as an addiction psychologist oddly enough. There are plenty of addiction psychiatrists, but in psychology and many mental health fields this isn’t truly a formal specialty. I’m trained as a generalist and I learned how to do a little bit of everything, but transparently, substance use disorder was an elective class offered when I was in graduate school, and I didn’t take it because at the time I didn’t think addiction was a condition that warranted treatment. I’m a convert. I used to think that people just needed to make better decisions and things would work out better for them. It wasn’t until I went through way more training and interacted with people suffering from substance use disorders that I paused and realized that these aren’t choices or moral failings. There are biological, psychological, and social causes. No one chooses to have a substance use disorder or chooses to live that way or have that quality of life. Instead, I started to understand that just like any other chronic disease, there are risk factors and protective factors, just like there are for heart disease, and there should be a healthcare response to this set of medical conditions. It was a 10 year journey that brought me from opting out of an addiction elective to where I am today. Q: We’re building up to this, but could you tell me how the Collaborative was created? A: So, this all started from a seemingly small realization of how a fundamental change can make a major difference in a community. A few years ago, a woman came into the hospital looking for addiction treatment followup and was having trouble finding success. She was visibly upset, so I approached her to ask what was going on and if I could help. She explained that she had been treated for addiction and just needed to schedule a followup appointment, but every office she called was full or couldn’t get her in. Even her regular treatment provider couldn’t help. I had a friend who ran an addiction treatment center, so I called them and within minutes they had a follow up appointment scheduled for her the next day at 8 a.m. It was remarkably easy for me to access that life-saving appointment for her—but she couldn’t access it herself. It seemed critical to us to make sure a patient can be successful in finding care at any time of day, no matter what. It inspired the idea of a superhighway that would allow anyone who needed it to find and receive treatment on demand. If you think about it, anytime you have a medical need, you turn to the healthcare system and professionals and expect them to see you as quickly as possible. Unfortunately that’s not the reality for so many people suffering from substance use disorders. Today, I oversee behavioral health operations for the Mercy Health system in Cincinnati and make sure everything that behavioral health can offer to a community and to a health system is integrated into the routine delivery of healthcare. We focus on addiction treatment services and behavioral health integration, meaning that by having behavioral health services available in a primary care setting or in a hospital, we can also use the input from experts in human behavior to address a wider array or chronic conditions like diabetes, COPD, or congestive heart failure. And obviously we can help people with mental illnesses like depression and anxiety. Q: What is the goal for the Mercy Health Addiction Treatment Collaboration? A: First, we’re hoping to change the way people—across our community but even more specifically within the healthcare establishment—think about and talk about substance use disorders, and really addiction in general. The idea is to change the narrative from thinking of these conditions as moral failings and really move towards a more comprehensive understanding of addictions as chronic healthcare problems that warrant a response similar to what we’d provide for any other medical issues. We seek to understand what the best practices and treatments are for people with substance use disorders, partner with other folks who are doing great work in this space, and meet the current demands of the opioid epidemic in a way that really no one has done before. But when you look at the opioid crisis, the first thing we can do to make an urgent meaningful impact is to keep people from dying in the streets or in their homes. We have to do something about mortality. That requires us to understand that we are in the midst of the public health crisis of our time. We have to equip people in the community with the tools they need to respond emergently, save someone’s life, and then connect them to quality treatment in a rapid, on demand fashion. No agency can really do all of that by themselves. That’s why we quickly gathered other like-minded individuals and organizations and decided that the only way we could focus on the entire continuum of care was by finding folks who were willing to work with us with a genuine spirit of collaboration. Q: How many organizations do you partner with currently? A: So far, we’ve found 18 organizations to work with. The door is always open for anyone to join who wants to work with us in this way. And everything we’ve created is open-source—we share our clinical protocols with anyone who asks. We’ve created a treatment-on-demand network that covers Southwest Ohio, which means that the moment the urge strikes someone to get into recovery or to seek out treatment, we have the ability to get someone into treatment within a day at whatever level of care that they might need. To make that access easier, we’ve also helped stand-up an online platform, www.FindLocalTreatment.com, that can help anyone get real-time information on who can see new patients as early as today. We make a point to call it the Addiction Treatment Collaborative because this work isn’t about just addressing the opioid epidemic; it’s about addressing addiction overall. This crisis is all over the news now. The number of people dying in our communities on a yearly basis is staggering, but we also know that addiction has been around for a long time. If we’re going to create sustainable change, it shouldn’t just be about the epidemic that’s in front of us today. I believe we should be building out capacity to address the next epidemic that happens down the line, five years from now, 10 years from now, whenever that might be. And this work is really just the beginning—once we address mortality, we start to realize all the things we still need to do in order to reintegrate families, get people back to work and in pursuit of their dreams. That will require even more collaboration, well beyond the traditional boundaries of the healthcare system. But you can bet that we’ll be at the table. Q: This work is really tough and must be draining at times. What keeps you going when things get hard? A: One of the hardest things about this work is that we don’t always see people again after we’ve administered care. It’s just how our healthcare system is set up. But when one of our first detox patients came back to see us after several years, that was really powerful. That kind of stuff keeps us going because it’s deeply meaningful when people come back and are doing better than they were before because of our efforts, whether it’s hospital care or counseling support. Additionally, my wife Heather is my rock and the foundation of our family. 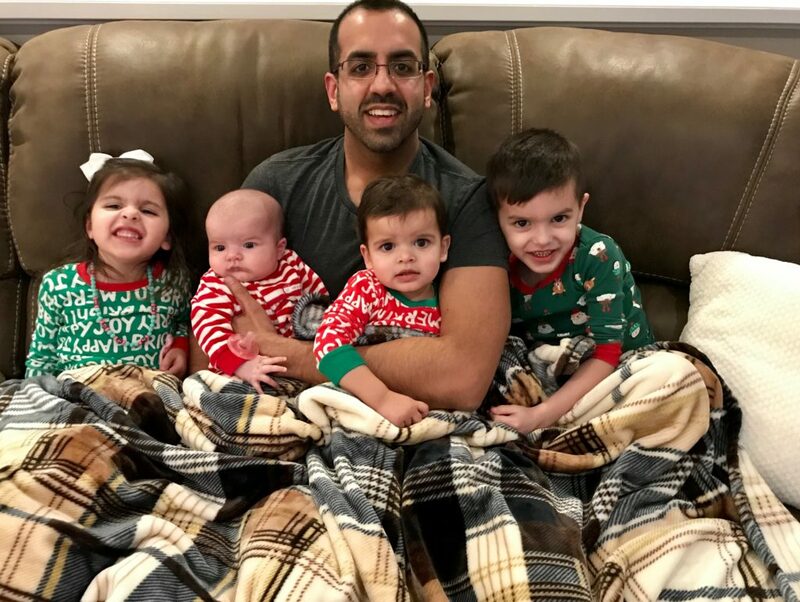 We have four young kids—five-year-old Simar, three-year-old Harley, one-year-old Mia, and six-month-old Daisy—and they’re just incredible in every way. Q: What would your advice be to someone who wants to get involved in their community but might not know where to start? A: I would say to stay intellectually curious. Don’t rely on assumptions or what other people tell you about an issue, investigate it on your own and let your instincts take you down the rabbit hole. I think everyone should get closer to the issue they find interesting or the people impacted by the issue to make sure you fully understand what’s going on in the space before you try to change it. If you do that, you never know who you’ll meet or who you’ll impact. Five years ago if someone would have told me that what I’m doing right now would be my life’s work, I wouldn’t have believed it, but my curiosity took me to new places. Q: Thank you for sharing so much about your story and your work. 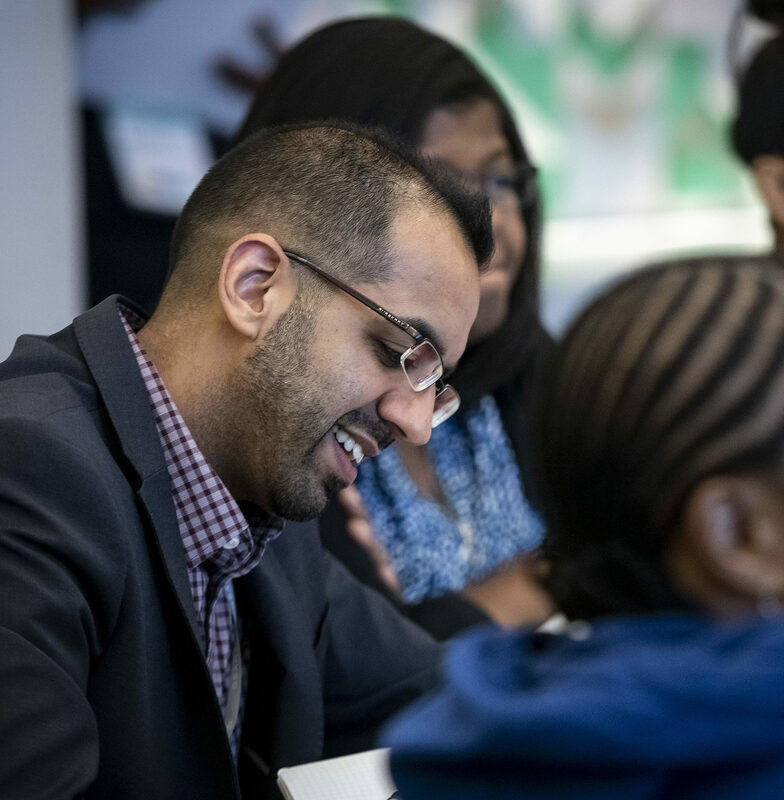 To close, how has the Obama Foundation Fellowship impacted your work? A: We all have a role to play in changing the narrative around substance use disorders and addiction in general, and this program has given credence to this work as we continue to scale it. We’ve started to integrate our efforts with the other major health systems in Cincinnati and other parts of Ohio, so it’s exciting to be a part of a program that will help us grow this important and hard work in the future. 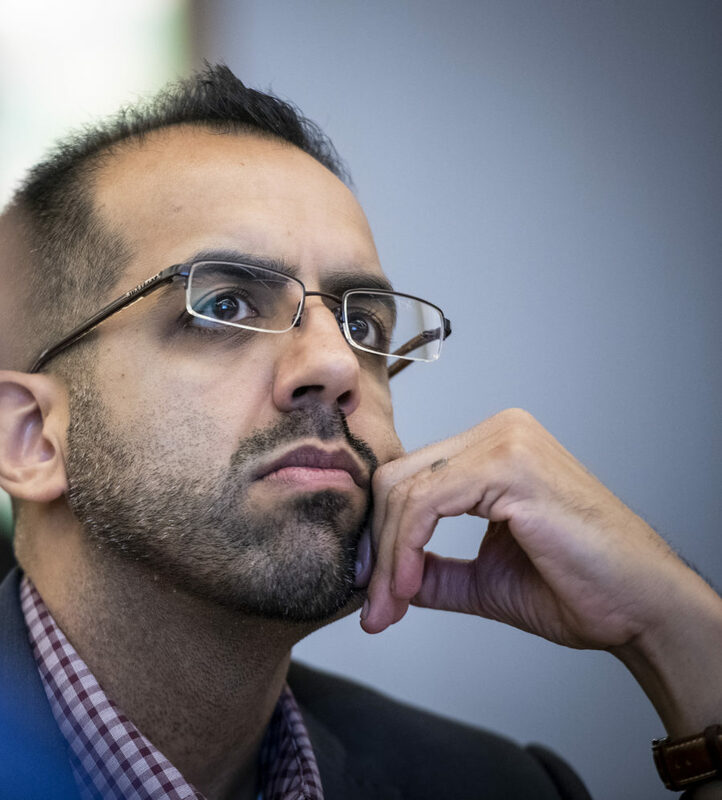 You can learn more about Nav, the Mercy Health Addiction Treatment Collaborative, and meet our other current class of Fellows here.